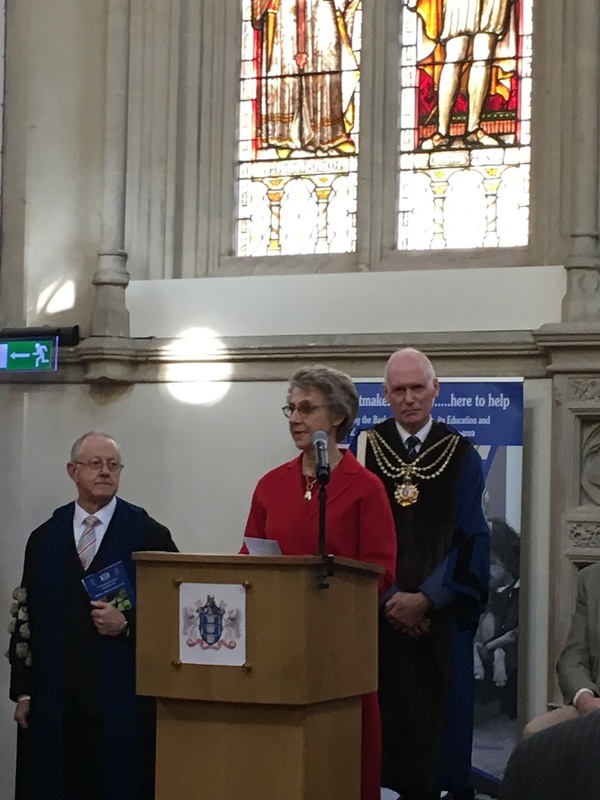 2019 is the 450thanniversary of the Worshipful Company of Basketmakers and the celebrations began in earnest with a trade fair in the Old Library of Guildhall. The theme “Basketry: Weaving the Cycle of Life” was the order of the day. The trade fair was officially opened by Her Royal Highness the Duchess of Gloucester. Some 40 Basketmakers had stalls and I had a fascinating morning talking to many of the Yeoman Basketmakers about their craft, how and why they took up basketmaking and watching them at work. 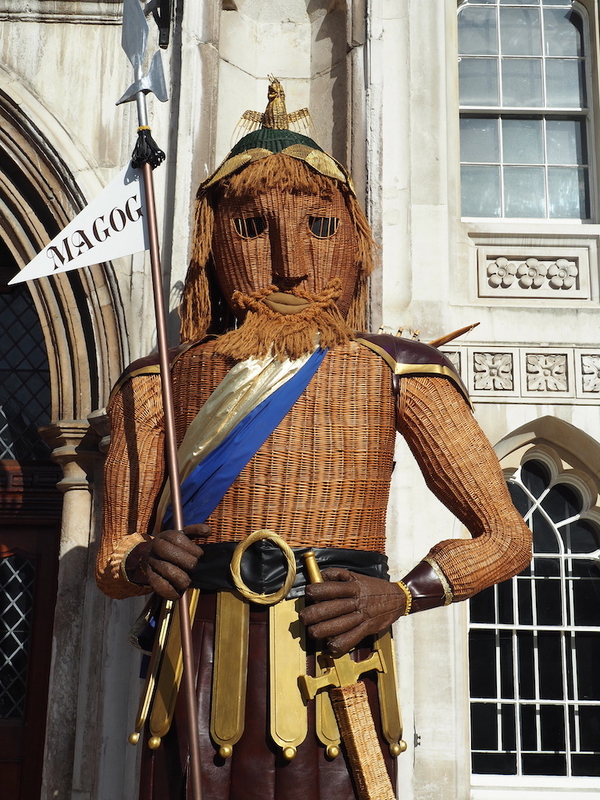 Pictured here is Magog, a mythical creature, made by the Company that were presented to the Corporation and regularly take part in the Lord Mayors Show. With just a fortnight to go to the Annual Craft Awards, it was a busy meeting for the Committee where arrangements were finalised, discussion on the process of awarding Master Craftsmen status and an update on affiliated organisations. This has to be one of the most difficult and confidential discussions that take place amongst the Master, Wardens, Past Masters and Learned Clerk as they plan for future officers of the Company. We must consider who would be eligible to join the Court of Assistants and who could go on to take high office. Not an easy meeting to chair! From time to time the Clerk receives an invitation for the Master for a special reason. 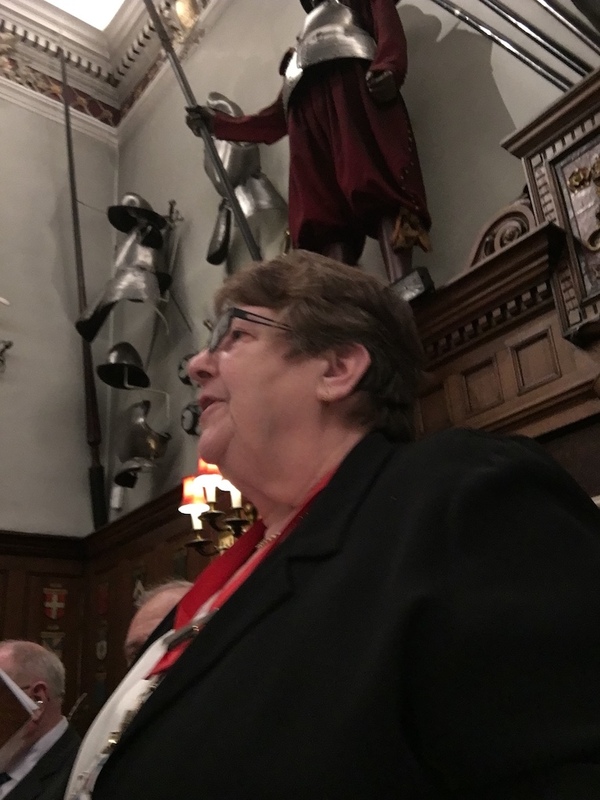 Such an invitation was received from Master Environmental Cleaner, Maureen Marden, to her fellow Lady Master Tyler and Bricklayer to attend their Court Luncheon in the beautiful Armourers’ Hall on Tuesday 5 February. I was fortunate to meet fellow Masters Air Pilot and Armourer & Brasier who regaled me with a history of the beautiful Armourers’ Hall; which had survived the bombing of the City in WW2, and the paintings in the Livery Hall. Lunch provided me with the Honorary Chaplain as a dining companion and I had not expected to discuss such a wide variety of topics over lunch! This lunch proved to me what a fascinating time you can have as a Livery Master. It has always struck the Clerk strange that there was a Wine Committee within the Tylers & Bricklayers, but no Committee to take care of the Treasures owned by the Company, particularly as the value of the treasures far exceed that the of wine held on bond! The first meeting was held at the home of Past Master Roger Westbrook and reviewed the Terms of Reference and set up policies for the management of the Company’s treasures. As with most organisations the vast majority of work and decision making involving the Company is carried out at Committee level. Events, press and publicity, and GDPR. Membership of the Tylers and Bricklayers is strong but there is always room for growth, and equally important is that we must retain membership. The Finance Committee reviewed the Annual Accounts and financial reports for the current Livery year. The Company is in sound health thanks to the efforts of our Learned Clerk. After the Committee Meetings it was time for Common Hall, which gives Liverymen the opportunity to review the finances of the Company, to learn about its charitable activities and to discuss matters of common interest. In this digital age and GDPR controlling data there was a very interesting discussions on whether we should continue with our “white book” (membership directory). 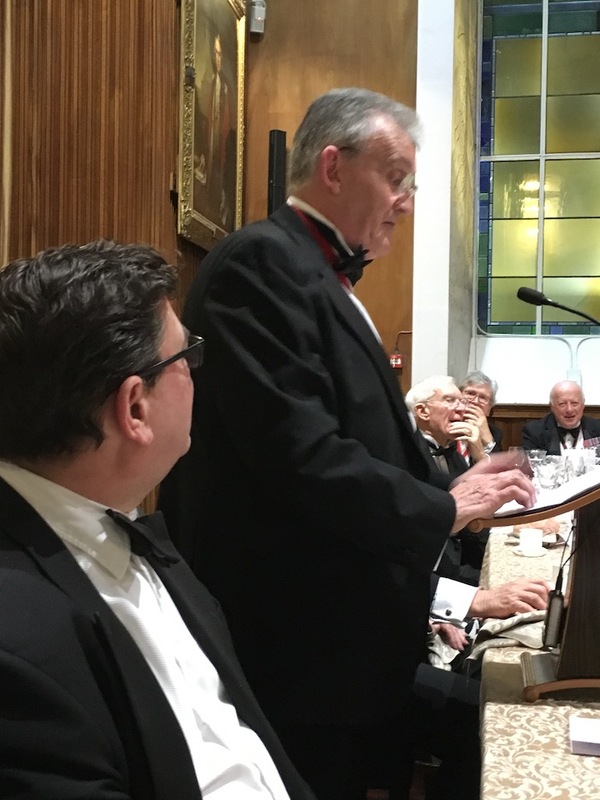 After the meeting concluded it was time for the Livery Dinner, the only event of the year limited to Liverymen, and a random seating plan which gave opportunities for all to dine with other members they may not necessarily know. Tylers and Bricklayers thoroughly enjoy dining at Cutlers Hall, and a “winter” style menu had been put together for the evening, along with some fine wines. 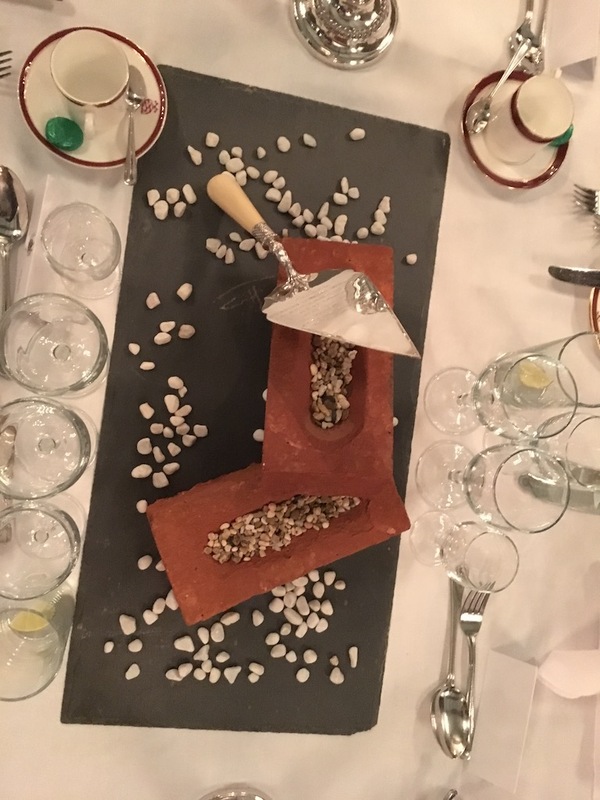 Often it is the small touches that matter, the Staff at Cutlers Hall had put out some bricks and trowel for the occasion, whilst it may not sound terribly interesting, the Master was touched to see the effort that had been made. I was delighted to be invited by Sheriff The Honorable Liz Green to attend a lunch with the Judges at the Old Bailey on the 3rdof December. 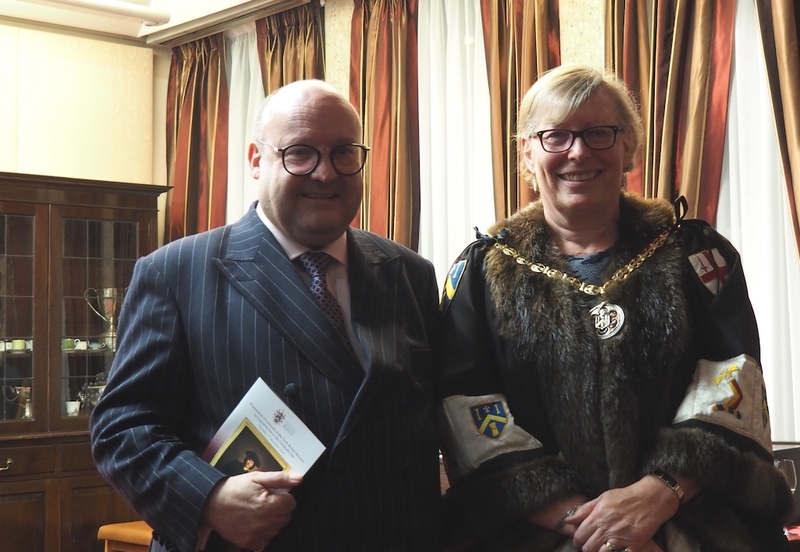 On arrival at the Bailey I was shown to the Sheriff’s Chambers and was joined by a number of guests and Alderman Professor Michael Mainelli, who had just finished his term of office as Master World Trader. Over lunch I was intrigued to learn of the life of a Judge and the sort of cases they presided over at the Bailey. At the time the cases in the Courts involved ranged from a stolen handbag up to murder. The judges explained that they had to try to become immune to some of the sights and sounds they heard but that, on occasion, it could be very difficult. After lunch I sat in on a case as an observer. I always consider that Christmas begins as we attend the Carol Service at St Margaret Lothbury. When I talked to Honorary Freeman Richard Townend about which carols to have at the Service I was keen to make sure they were all our favourite carols and would link in with the readings during the Service. The Choir at St Margaret are behind and above the congregation and, to my mind, have the voices of angels! As they sang Stille Nacht I couldn’t help remembering my childhood Christmases and the wonder of Christmas! A new life for Robert Browne! 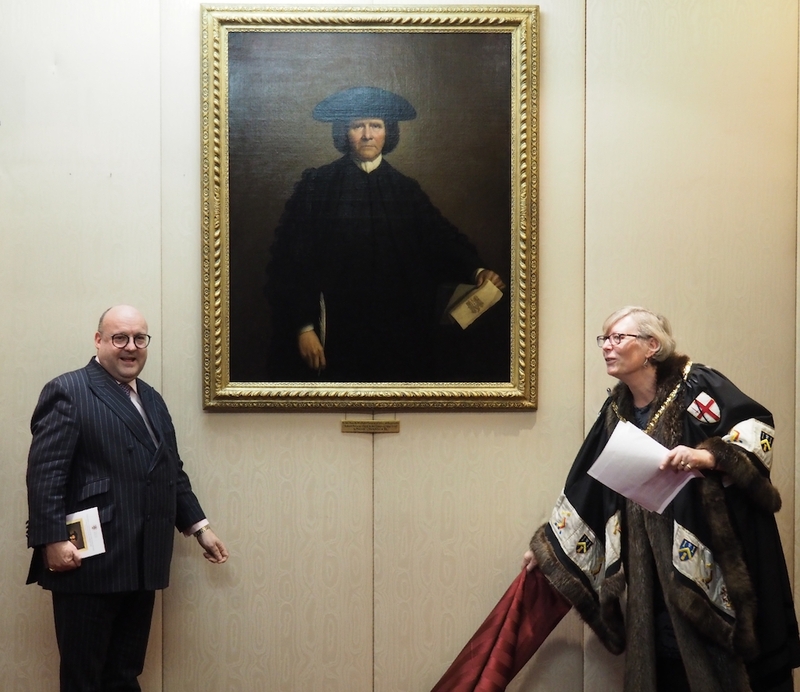 The final element of the 450thCharter Anniversary Commemorations concerned a portrait of Tyler and Bricklayer Clerk Robert Browne painted by Mason Chamberlin a member of the Royal Academy. Robert Browne was Clerk to the Company from 1766 to 1791 having been Beadle before that. He must have been very well thought of to have a portrait painted by Mason Chamberlin, and history records that the portrait was displayed at the Royal Academy. After the Anniversary exhibition closed the portrait was restored by fine art restorer Simon Folkes and the frame by gilder and restorer Bruce Francis, and the portrait has proven to be more valuable than originally thought. Careful consideration had to be given to the next part the portrait would play in the life of the Tylers and Bricklayers, and I was delighted that Guildhall Club agreed to display it on a long-term loan basis for all to enjoy for many years to come. Guildhall Committee Member, Chris Hayward accepted the portrait on behalf of the Club.